Need some clarification on the ending of The Source Code? 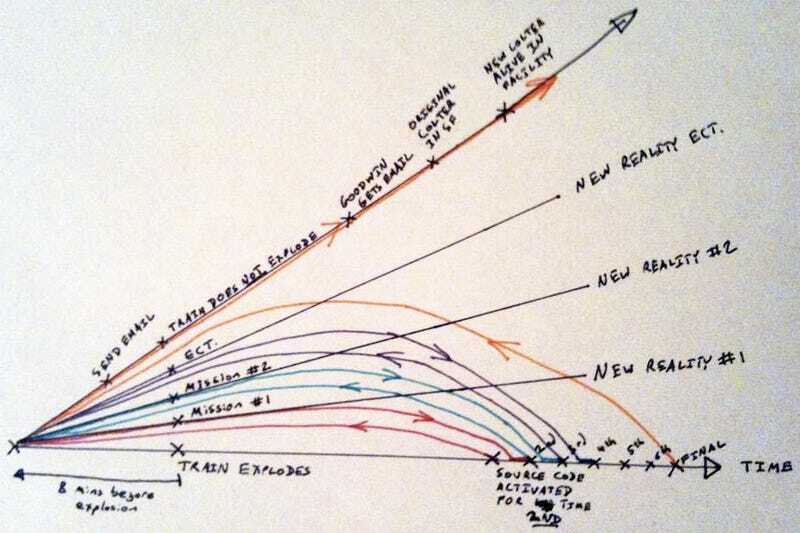 Director Duncan Jones recently took to Twitter with one of his hand-penned production diagrams. Be forewarned that there are spoilers out the wazoo here. Click on the above to expand. Also see our interview with Jones about the film's secrets.